It all started when one man saw beyond the shabby upholstery and lackluster finish of one motor coach. Instead of a vehicle for your senior class trip or your Nana’s cross-country odyssey to West Palm Beach, he saw one destined for style and luxury. ...to just to name a few. As many as 44 people can enjoy these accouterments even while cruising to your destination. 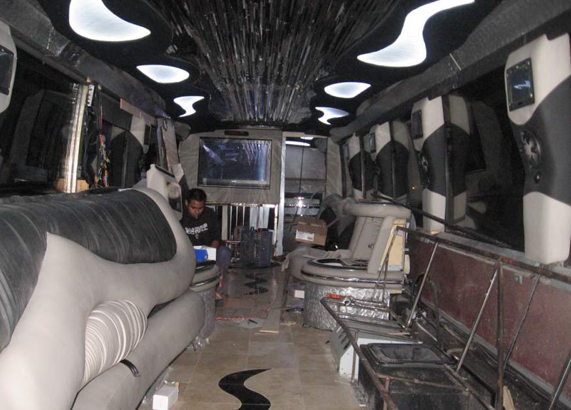 With top notch engineering, body work, and skill, this ordinary motor coach became a night club on wheels. 1. They started with an ordinary tour bus. It was nothing special. It had the same bad interior that doesn’t work as your average motor coach. It was aching for a face lift and, well, it got one. 2. Next, Creative Coach Builders prescribed a laundry list of upgrades. Plush seating. Mega sound system. Big screen TVs. Lighting. The works. They were able to envision what this bus could be. Every bell and whistle under the sun made the list. 4. The first thing we need to do was inspect and strip the bus. 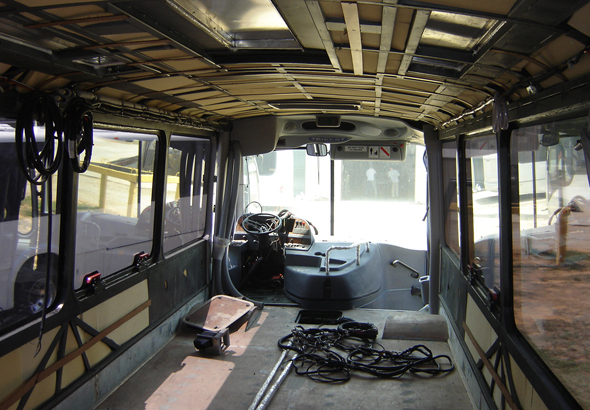 This allowed us to reconstruct the bus with all the fun features and prescribed style. 5. Next, the bus was prepped and cut according to specifications. All of these steps ensured the bus would be strong and safe as well as fabulous. 6. Then we worked our magic for skillful bodywork. The best thing about our commitment to safety is that it doesn’t require a sacrifice in style. In fact, our full-length side-window design is the best in the business. The bus was outfitted with every luxury we could think of. 8. Finally our team installed all the finishing touches, like window tinting, and performed a thorough inspection to ensure that the bus was safe for drivers and passengers. And then, voila! The world had a seriously fun Party Bus on the scene. 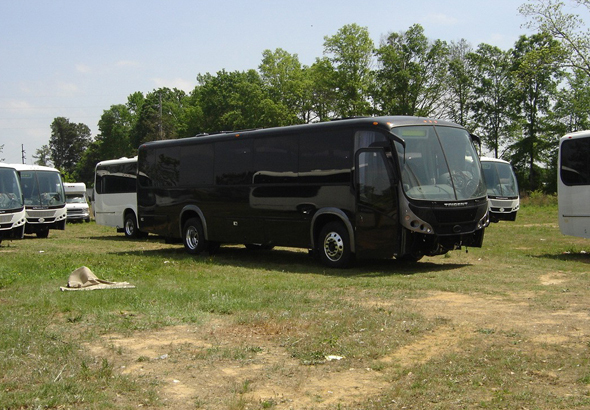 For many, the Party Bus is the destination. Why would you bother with a stationary night club when you can travel around the city and keep the party going? That’s exactly what we had in mind when we created our first party bus. But after creating our first party bus we just couldn’t stop. 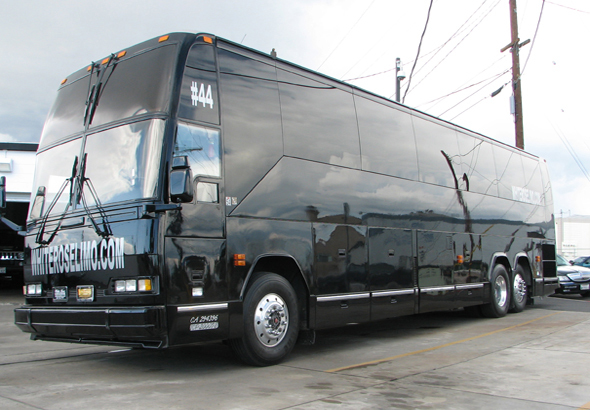 Every bus had to be turned into a fabulous stretch party-bus-mobile. 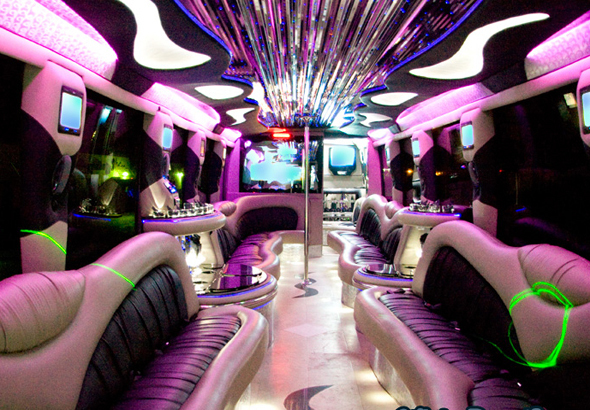 This legendary Party Bus is now just one among a studio of utterly fabulous vehicles available from White Rose Limousine. 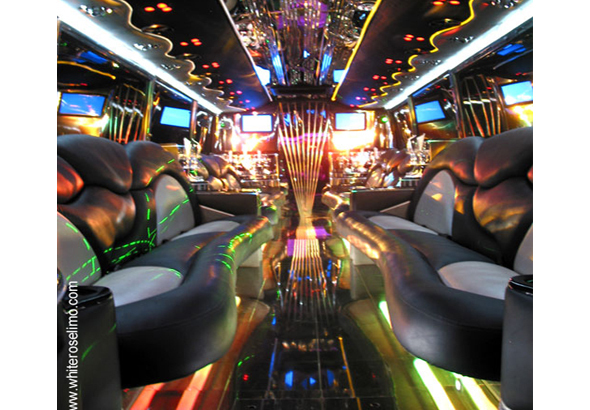 We've got luxury, vintage and classic modern limousines in addition to the party buses, all stretched for maximum fun power. It just goes to show that one man’s trash is another man’s treasure!